Corporate sponsorships are available on each of our 200+ city guide information web sites and the Insider Viewpoint of Las Vegas’s web site. Each city guide contains dozens of individual categories’ index pages to help the visitors obtain specific information. These individual category index pages, listing companies in alphabetical order, display quality companies doing business in that area. Many advertisers request preferred placement at the top or bottom of a category index page, out of the normal alphabetical order. We are now pleased to offer a way that an advertiser’s company can be seen in a more prominent fashion on any category index web page. By the use of Corporate Sponsorships, we offer companies an additional avenue to be seen first in any category contained within any of the 200+ city guide web sites. We developed a uniform Corporate Sponsorship size image that can be displayed at the beginning or end of any category list of companies on any of the 200 city guide web sites. This image (468x60) will contain your company name, logo and a brief highlight of your company plus a link from this image to transfer the visitor directly to your internal web site pages. Each category index web page will have a maximum of two Corporate Sponsors per location. Each of our 200+ web sites receives a different quantity of daily visitors. Therefore, each individual category index page contained within these web sites will also receive a wide variance of daily visitors. For simplicity sake, we have divided Corporate Sponsorships into four general areas. The costs below are per month. Top Category Page Image $350.00 and Bottom Category Page Image $200.00. The other 200 IVLV city guide websites cost is Top Category Page Image $300.00 and Bottom Category Page Image $175.00. Insider Viewpoint of Las Vegas’s web site has created a FREE online gaming casino where people can test their skills and win daily, weekly, monthly, and yearly prizes. Online free casino games allow people to play their favorite casino games and your advertisement is placed on these game pages. Your corporate sponsorship image will be placed at the top of the page being displayed for as long as the person plays that game. Using our test data received, the average person visiting our web site to play the free casino games will play 20+ minutes per session. The player will see only one corporate sponsorship displayed per session, yours information and link to your interior web pages. Corporate sponsorships for the online casino games will work on a rotation system per casino game. Initially, we anticipated 5,000+ people will play our free games per day. After launching our full advertising campaign we anticipate 15,000+ daily players on our free casino games. 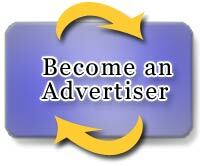 - Proven Advertising Programs Are Available to YOU! The Sales Department is open Monday - Friday 9:00 - 5:00 PST. Any of the Sales Representatives, or Richard Reed the owner, can answer all your questions over the phone and/or send you a complete media kit. If calling after business hours or sending an email, please include your name, phone number and the best time to be contacted. One of the staff, or Mr. Reed if you prefer, will return your call. We look forward to hearing from you today!